Making the banana ice cream over the weekend put me in the mood to keep making the most of my ice cream maker. 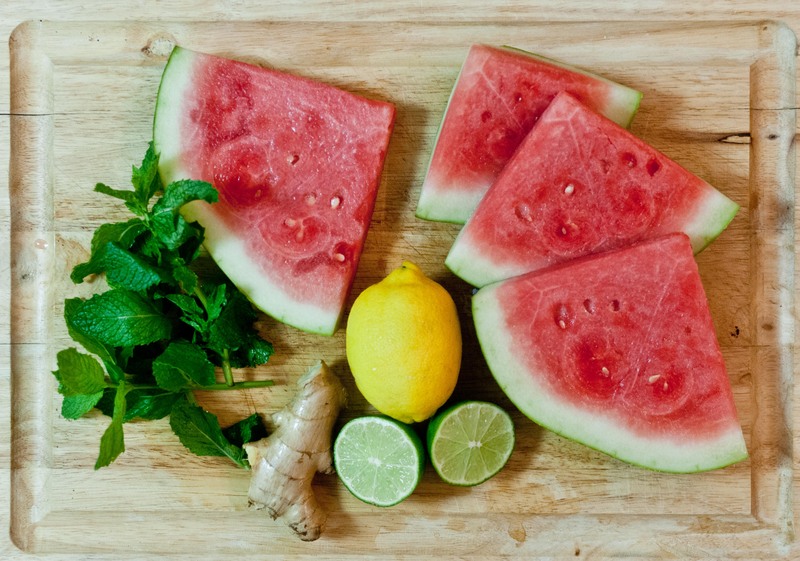 Inspired by a drink from the backyard luau on Friday, I tweak another Jeni’s recipe to make a batch of refreshingly tart and sweet watermelon lemon lime sorbet with mint and ginger. A quick whirl in the maker and into the freezer they go – only a few hours till it is ready!